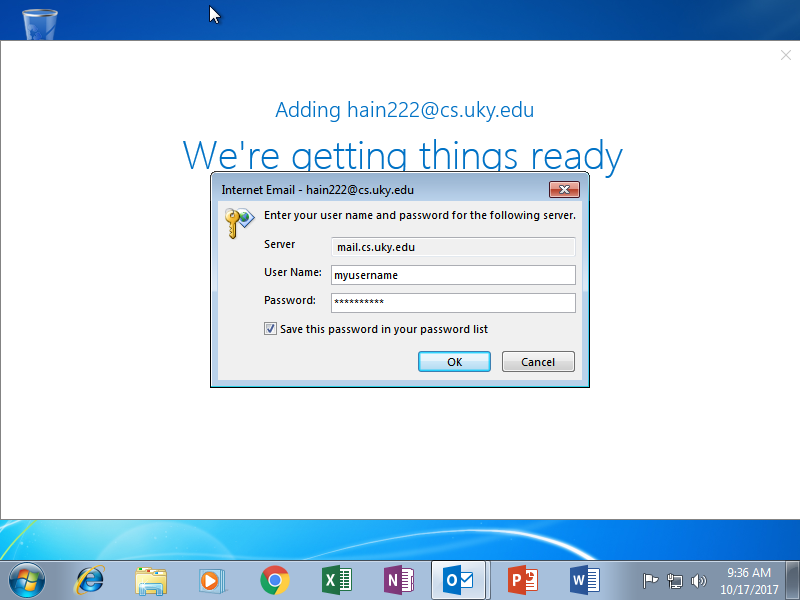 All users of CS department machines are provided an email address upon account creation. 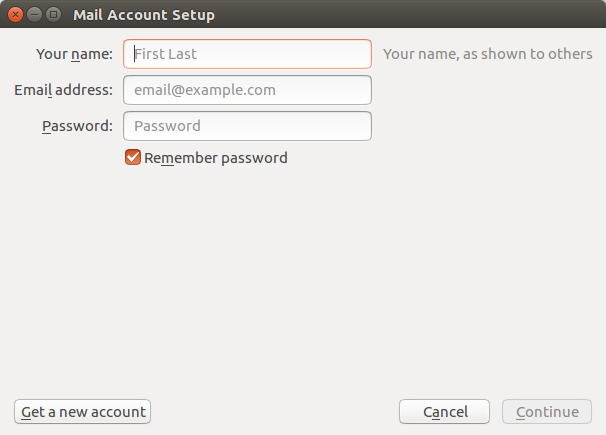 Below you will find information on configuring various email clients for Linux, Windows and Mac. 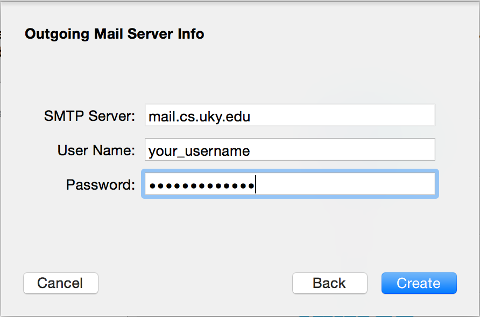 The default email address is username@cs.uky.edu, if you have other requirements please send a request to help@cs.uky.edu. 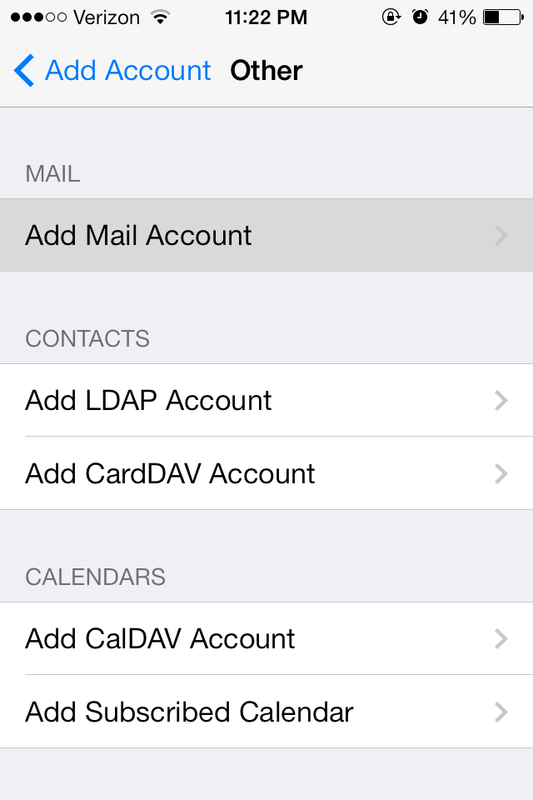 Navigate to the “Email” application, or select ‘Add account’ in the Settings Application, that will bring you to the screen above. 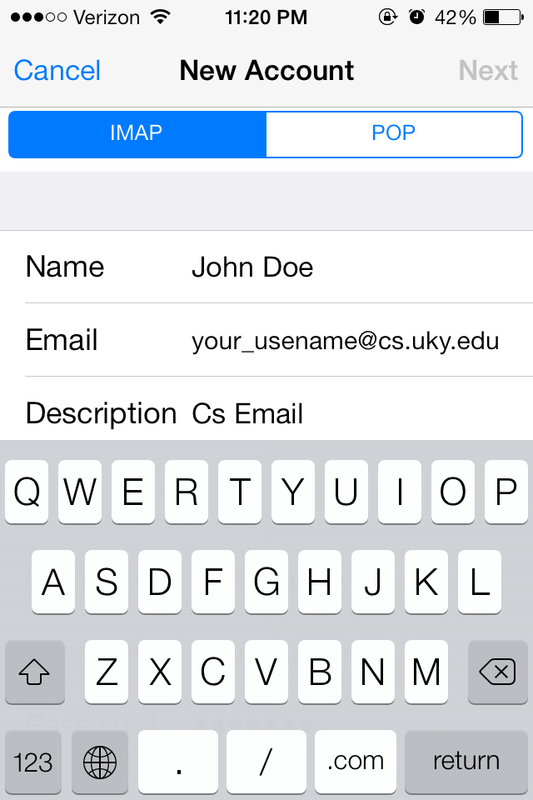 In the first field, enter your email address, which is your CS account username @cs.uky.edu. 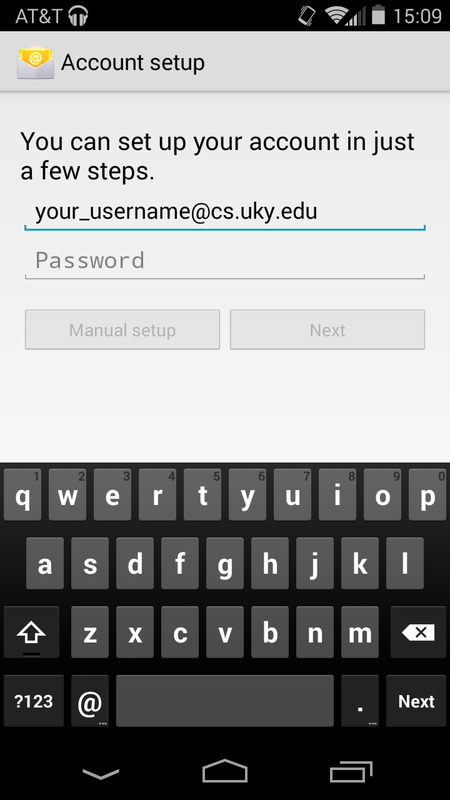 If Require signin is not checked, check it and enter your username (without @cs.uky.edu) and password. 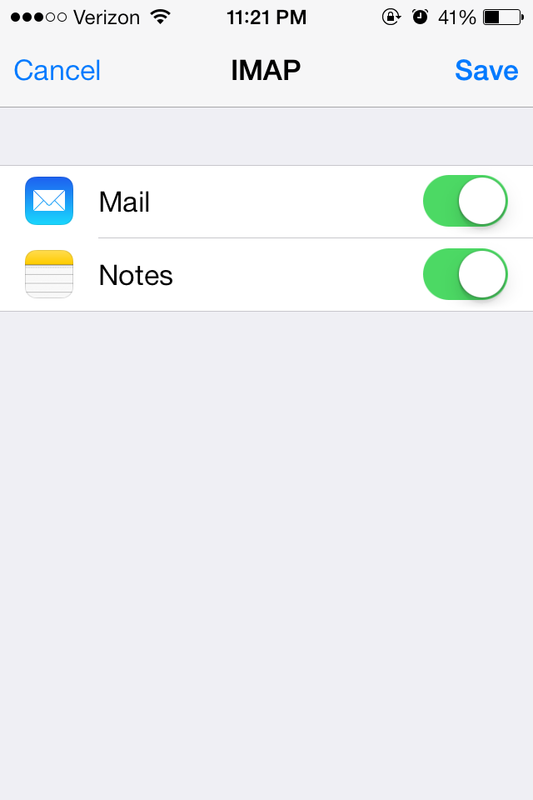 These settings are your personal preference, however, note that a slower check frequency will use less battery. Your name will probably already be filled in. Tap Next, and you’re done! 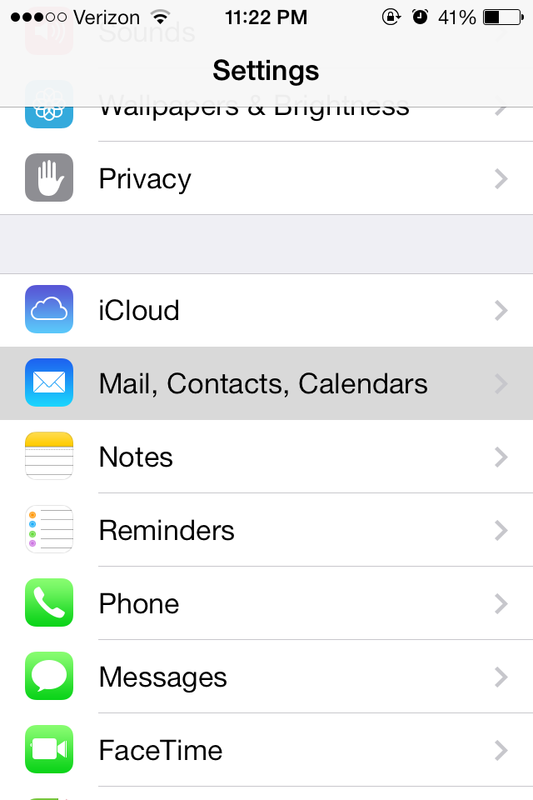 Select Mail, Contacts, Calendars from the Settings app. Choose Other at the bottom of the list. Enter your name as you want others to see it. 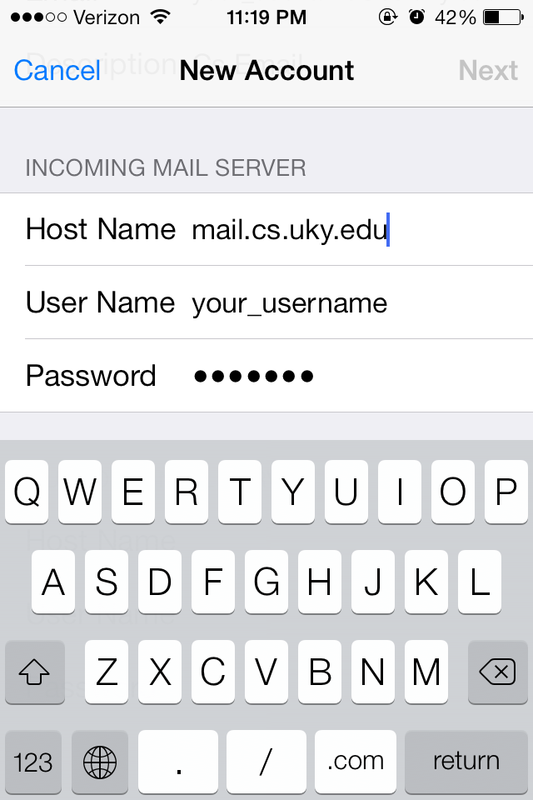 Enter your email address, which is your CS account username @cs.uky.edu. Enter your CS account password, note this is not your LinkBlue password. Enter a description for the account, e.g. CS Email. 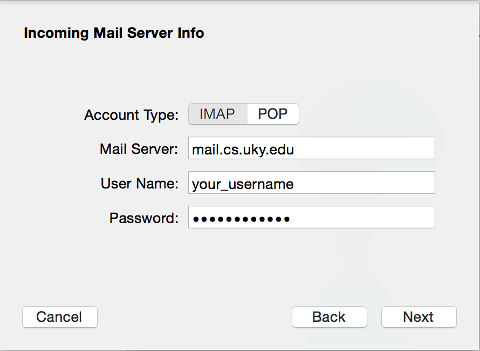 Make sure IMAP is highlighted at the top of the screen. Name, Email and Description should already be filled in with the information from the previous page. 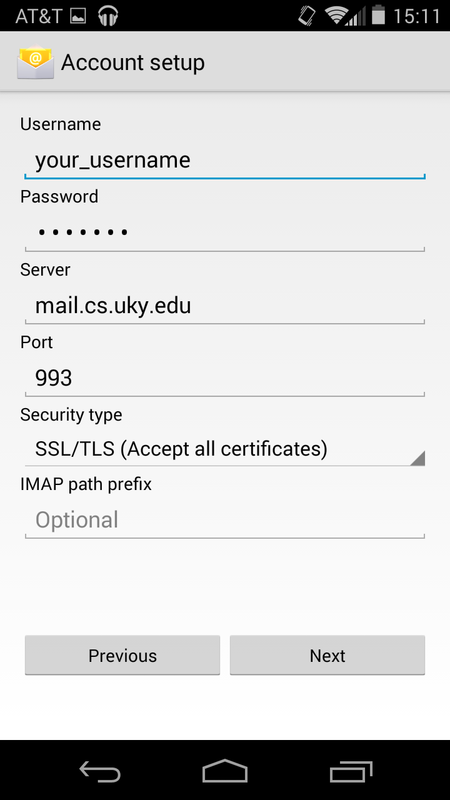 Scroll down to Incoming Mail settings. User Name: your CS account username. Password should already be filled in. 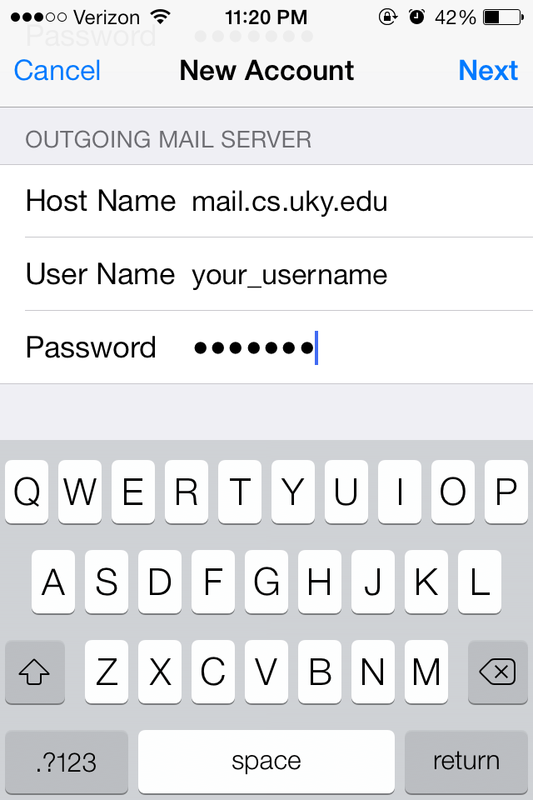 Scroll down to Outgoing Mail settings. 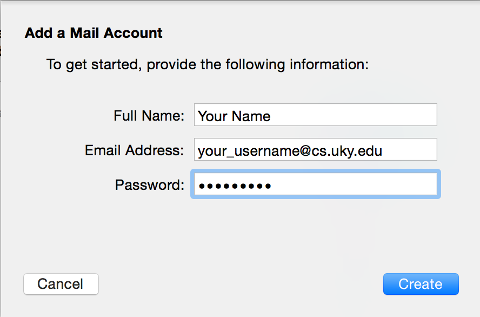 Username: your CS account username. Password: the same password you entered before, your CS account password. 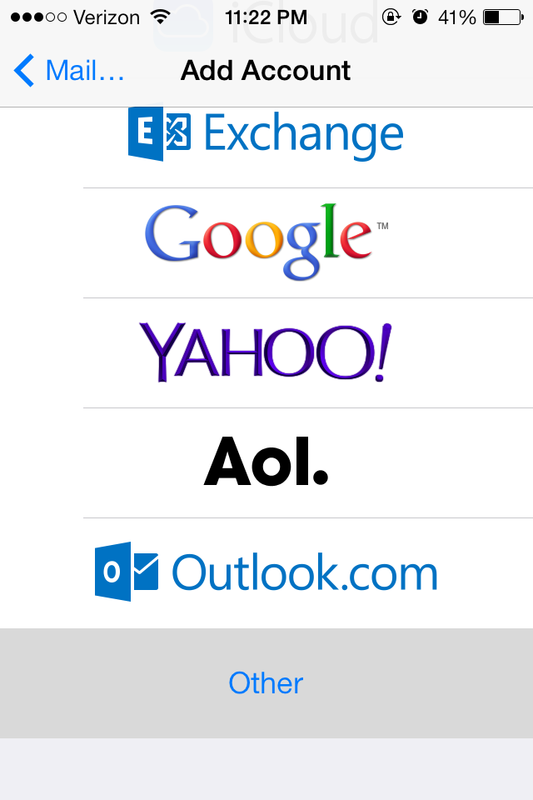 All that matters here is that you leave Mail turned on, otherwise you won’t receive email. Tap Save and you’re done!. 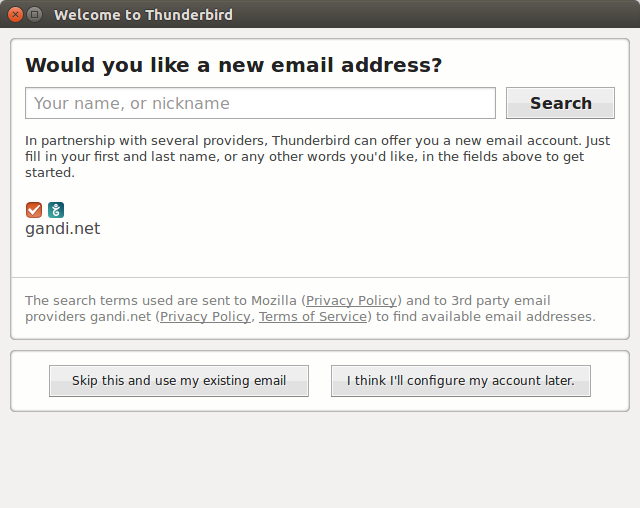 Open the Thunderbird Mail application, which will bring you to the first pop-up screen. Click “Skip this and use my existing email” to proceed. After completing step 1, you will be presented with the screen on the right. In the first field, enter your first and last name. In the second field, enter your email address, which is your cs account username, followed by @cs.uky.edu (i.e myusername@cs.uky.edu). 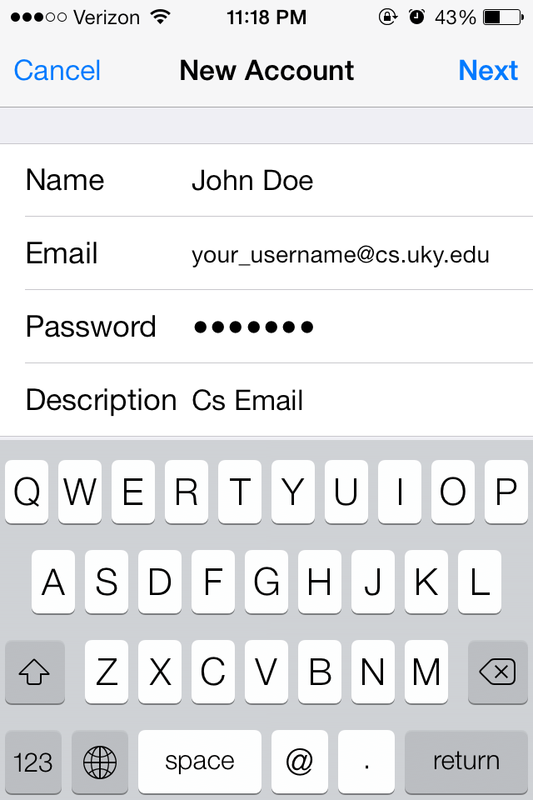 In the third field, Enter the password associated with your CS account. Click Manual config in the bottom left hand corner of the window. Note that you do not need to wait for thunderbirds search process to finish, as thunderbird cannot proceed until we enter the required information in manual config. Clicking manual config, presents you with the following screen. 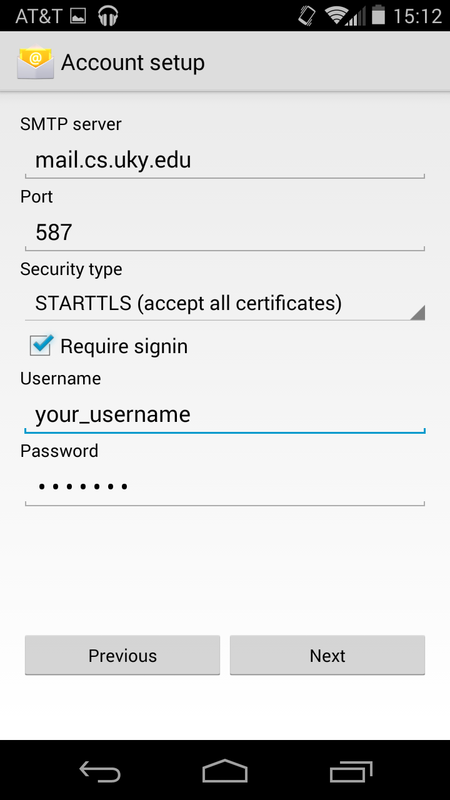 Lastly, make sure your username is in both boxes on the third line labeled “Username:” and then tap “re-test”. If the test completes successfully, then go ahead and tap Done. Finally, when prompted with the screen on the right, go ahead and click Confirm Security Exception to finalize your setup, and your done! Please Note that the first time you send a message with your account, a similar security prompt will pop up in the background. 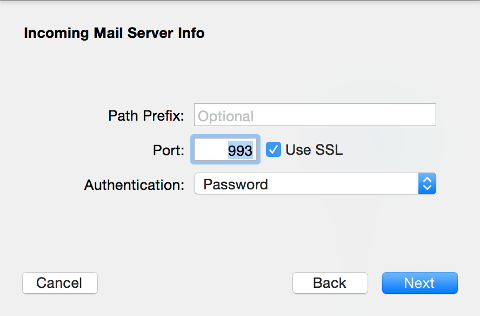 Just click Confirm Security Exception a second time, to be able to send mail. 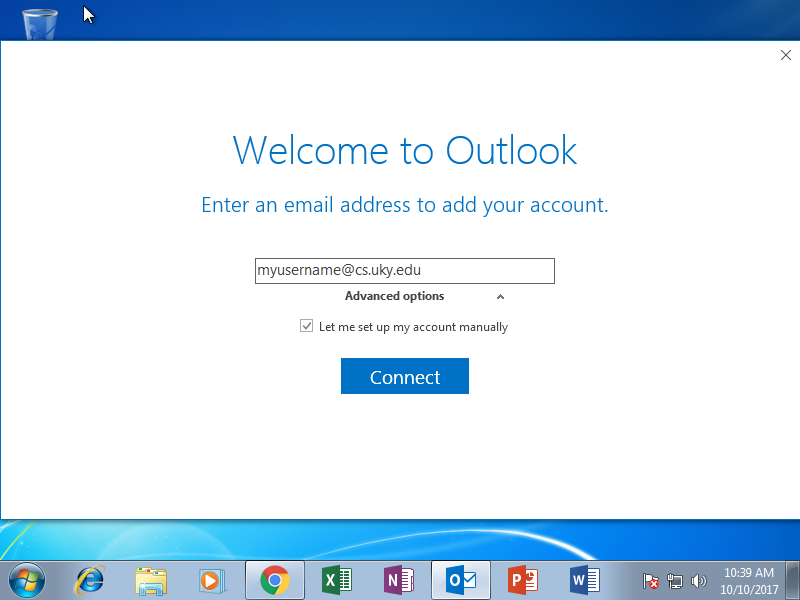 After opening the outlook application, enter your cs username without @cs.uky.edu, (i.e myusername where your email address is myusername@cs.uky.edu) and underneath the advanced options bar, select “Let me set up my account manually”. 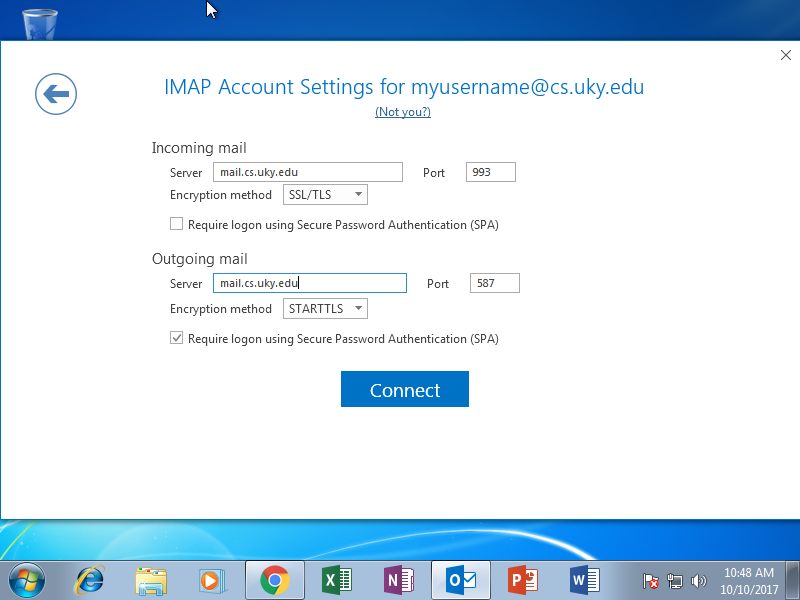 On the next menu be sure to select IMAP. Now fill in all the required information into their respective boxes. 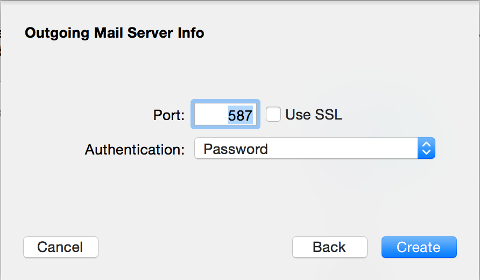 Make sure to check “Require logon using Secure Password Authentication” for outgoing mail only. 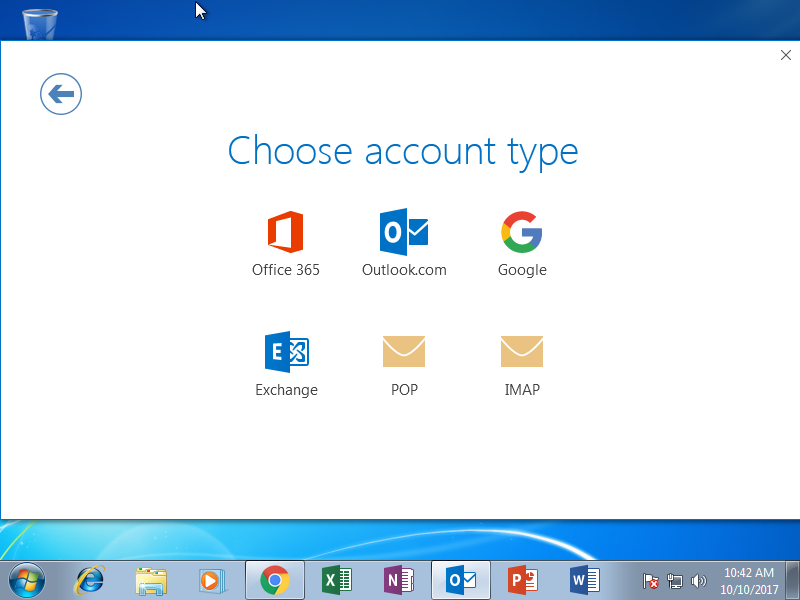 Outlook will now attempt to connect to the server and test, if it is successful it will automatically proceed to the next screen. 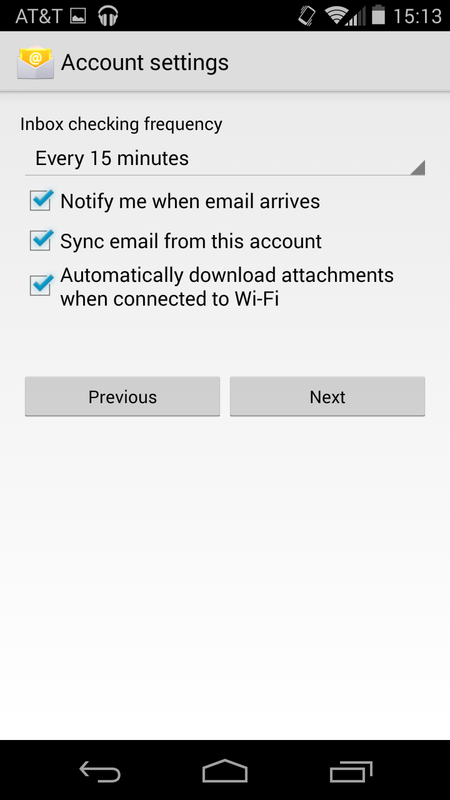 On the final screen, uncheck the box that asks you to set up outlook on your mobile phone, and click OK to proceed, and your done! 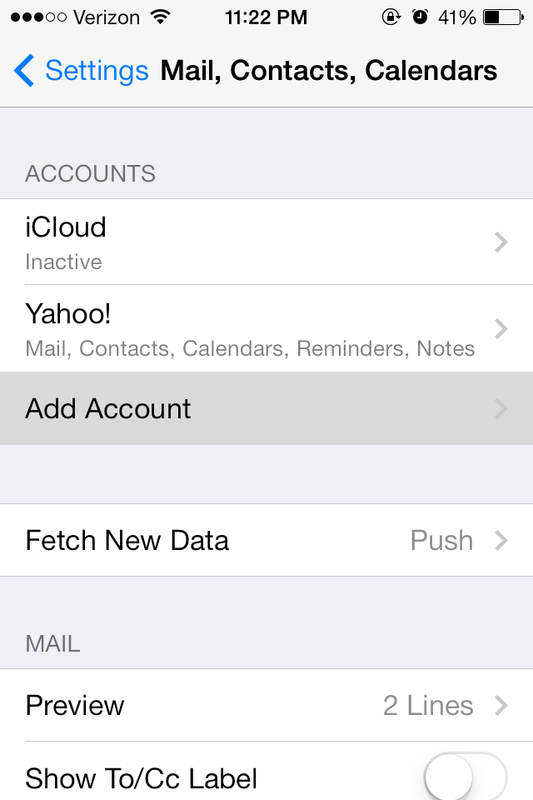 Open the Mail application, select Mail->Accounts and select the bottom one “Add Other Account”. 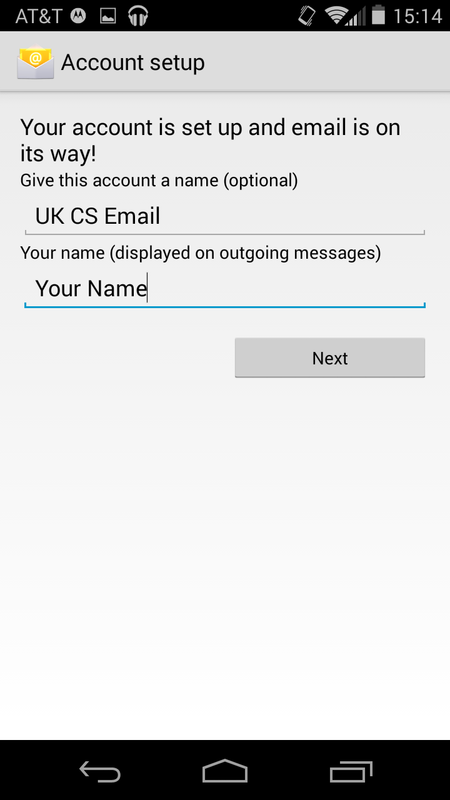 Select “Add a Mail Account” and click Create. Mutt is a small but very powerful text-based mail client for Unix and Unix like operating systems. This document uses the standard conventions for running commands. A command that begins with # is to be run as the superuser and commands that are to be run as a standard user account begin with $. Mutt can be installed on Ubuntu via # apt-get install mutt and on MacOS with homebrew by running $ brew install mutt. We will be using GPG encryption to store your password. You will need to install it as well, on Ubuntu run # apt-get install gnupg2 and on MacOS run $ brew install gpg. Generate a GPG key by running $ gpg --full-gen-key. Some versions of GPG use the command gpg2 in place of gpg. The commands are the same otherwise. 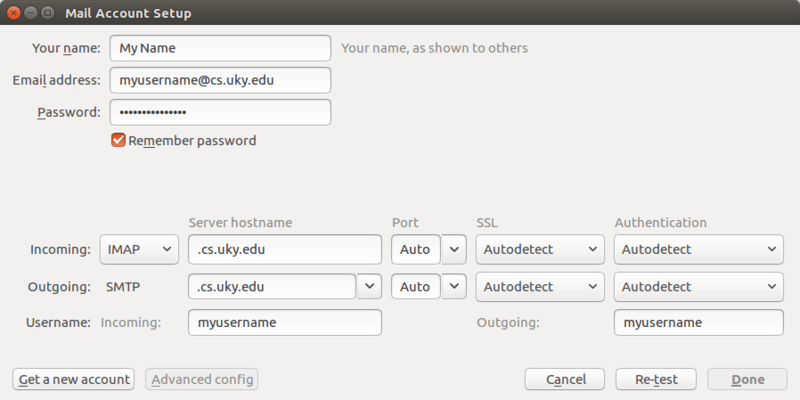 If your system uses gpg2 be sure to modify the command used to decrypt the password in the below configuration. Use the defaults for the kind of key and keysize and set the key to never expire then enter in your personal information when setting up the user ID. The Real Name should be both first and last name and the comment section can be anything you like, i.e. mail password key. Where password is your cs account password and Real Name is your Real Name used when you generated your key in the step above. The GPG version on Ubuntu has not been tested at this time. set crypt_pass = "`gpg --quiet --for-your-eyes-only -d ~/.mutt/accounts/mail-passwd.gpg`"
You will be prompted to enter the decrption password upon startup of mutt. 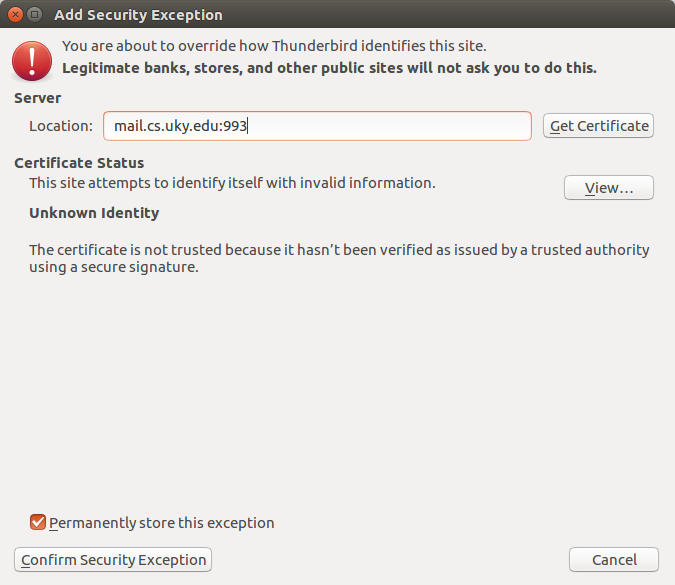 The first time you run mutt it will install the certificate and prompt for confirmation, hit a to select “(a)ccept always” and allow the certificate to be permanently accepted. You will get an error message that the certificate could not be saved, it is safe to ignore this message, the next time you run mutt it will save the cert. For more information on using mutt please see the official mutt website - http://www.mutt.org. © Copyright 2018, University of Kentucky Department of Computer Science..